Is your business missing a valuable Skill-Set? As part of the Beacon Initiative we conducted visits to 130 SME’s whereby we were outlining the supports available from within CIT to business. This exercise was very fruitful but we did unearth another issue for SME’s that we met. Many responded that one of their main challenges was that there was a skill-set gap within their business that they felt was holding them back. Unfortunately in most cases while the gap was identified the reality was they could not afford to pay for this expertise. I brought the suggestion of a Virtual Management Team to Cork County Council, which I felt could make a huge difference. 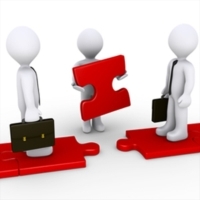 The idea was to create a talented team that would be available to SME’s – we would offer best in class consultants to aid the businesses at a significantly subsidised cost, in scenarios where that we felt there was a significant number of new jobs could be created as well as sustaining existing jobs. Some of the areas in which SME’s requested help were; Strategy, Process and Systems, Cost Controls, Sales & Marketing as well as Exporting. With this in find we went to the market and put together a diverse team with experts in various disciplines. The Cork County Council jumped at the opportunity to help support business in the County area in this way with funds from the Economic Development Fund. We are already up and running on a few projects whereby some of our virtual management team are in place assisting SME’s in areas of weakness and opportunity that we had identified in our visits. If you would like to hear more about the Beacon Initiative Virtual Team and how it might assist you or one of your clients please contact me for an initial consultation. This entry was posted in Business Support, SME's and tagged Beacon Initiative, Cork County Council, Padraig O'Sullivan, SME Support by padraigbeaconinitiative. Bookmark the permalink.